Luckily for Mac owners, IBM Notes on Mac has a built-in integration with Spotlight, as described in the following article. This solution is useful even for those using IBM Notes daily. Lotus Notes has a built-in EML export function that is slow but convenient. 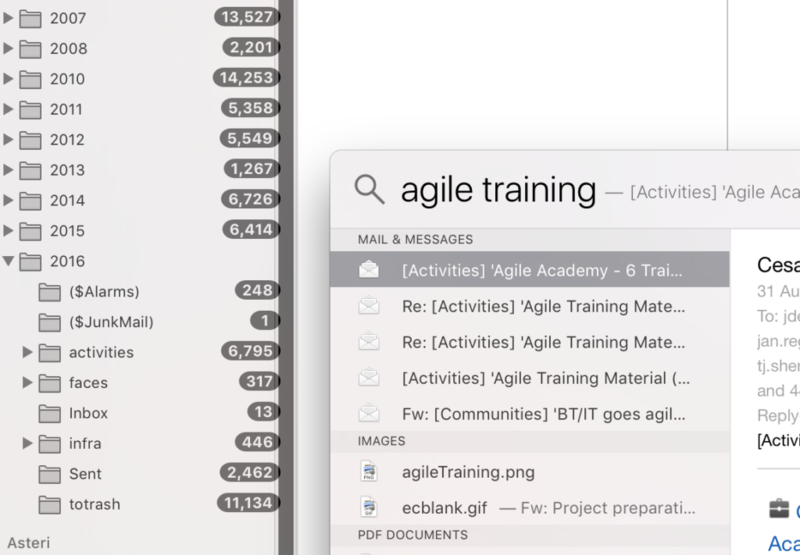 Just select messages you’d like to export and drag & drop them into a desired folder. The documents will be exported in EML format as individual message files. I had reasonable success with NSF2X utility that automated my archive conversion and generated all directories for each archive too. This utility requires a Windows environment and has to be combined with the drag&drop action for messages that fail to export. See README for full details. Apart from one year’s archive the export worked really well. How to import EML messages into your client. In Apple Mail, choose File-> Import Mailboxes and then “Apple Mail”. If you use Thunderbird, install the ImportExportTools extension which will give you the necessary import option.